In this article, we have highlighted our top 10 themes for communications workers, firms and specialists. These themes allow you to build the perfect site to attract traffic and, ultimately, clients. This is a clean, simple layout which is perfect for any communications worker or firm. The banner at the very top of the page provides seamless navigation to all the important details. This is exactly what potential clients seek when they head onto your website. No fluff, and straight to the information that matters. The design is elegant and stylish, but not showy and seems to strike that balance between too little and too much extremely well. You can highlight key information from the homepage in a prominent manner which, again, can be absolutely priceless in bringing in those customers. Pulsing is a very well-designed WordPress theme which is modern, slick and beautiful to navigate. From the homepage, you can highlight the bread and butter of your brand in simple, prominent sections. You can customise the page to be very user-friendly which, ultimately, is what anyone is looking for when they scroll through a site. There is nothing more off-putting than a site crowded with overbearing information and images. With the Pulsing theme, you can be sure that that is easily avoidable. At the very top of the page you can integrate a main image which is a great opportunity to showcase exactly who you are as a brand. 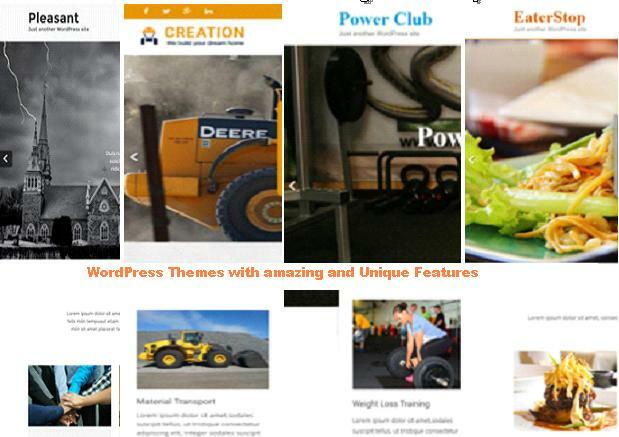 This is a multipurpose theme which can be used effectively in many different industries. It incorporates a minimalist style and is very modern in appearance. This theme is all about emphasising the important details, and the homepage can be customised to align with your brand with ease. This theme is elegant, stylish and very functional. This is a particularly good theme to use if you are a communications worker with impressive images you would like to share.Large images can be used on the homepage to demonstrate exactly who you are and what you are offering. These images can be integrated beautifully with key bits of information you want to highlight. There is also a nice section for testimonials which you can utilise. This is one of the best themes to showcase who you are in the simplest fashion. If you want to clearly highlight who you are and what you do, this could well be the theme for you. This is a neatly organised site which combines everything onto one page, a handy and welcomed feature for many visitors to your page. There is a banner at the top of the homepage which highlights the sections on the one-page site, allowing for easy navigation down the page. This banner is always visible too, making things even smoother. 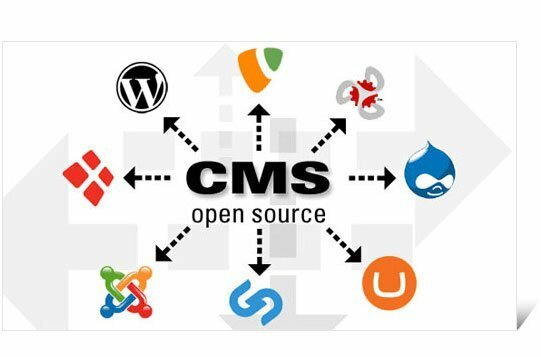 The site is delightfully smooth to operate and does a tremendous job of integrating all the key information into one place. This isn’t the theme to use if you are wanting to include a lot of information, but if you want a clear, simple and effective theme, Organizing PRO is a fantastic option. This theme is an excellent choice for communications workers which allows you to display your work and achievements with ease. The design is simple and elegant and allows you to customise your page in a way which combines simple and detailed information in a logical and integrated way. The homepage can clearly highlight who you are and what you do with a handy section beneath the main image allowing you to customise your main area of expertise. Further down you can go into more detail about the nature of your work and highlight previous work. 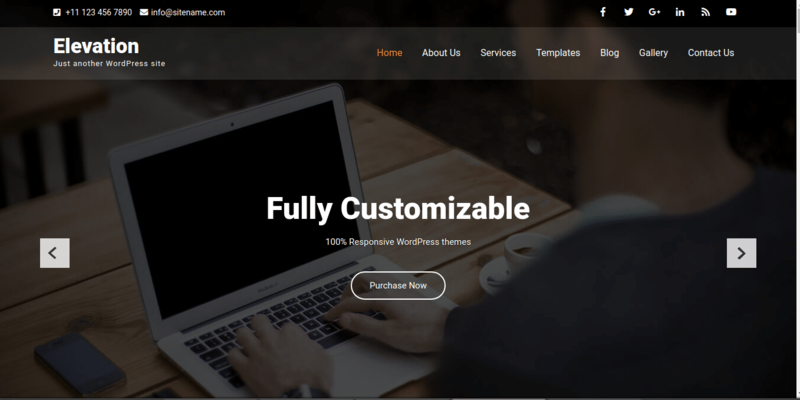 This theme allows you to make a great introduction to visitors from the moment they hit the homepage. The banner at the top allows visitors to head to different sections within the site where you can go into more detail with news, work, testimonials or anything else. This is one of our absolute favourites for communications workers. This is a modern theme which is designed beautifully and is sure to wow any visitor to your site. It’s also a resourceful theme and does an outstanding job of keeping the site simple whilst still providing all the detail that is needed. At the top of the homepage there is a banner from which visitors can navigate around the site to more detailed sections. In the header, you can put in an image which is displayed to beautiful effect. Moving further down the homepage, you can include key information about who you are and what you do in neat sections. 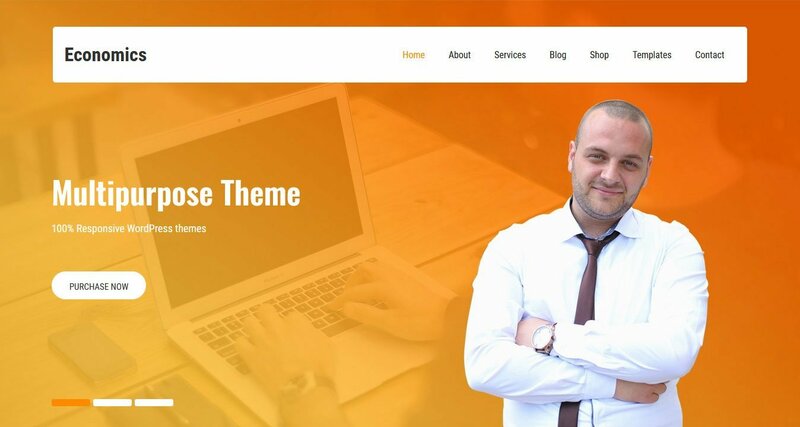 This theme will be particularly enticing to those who like to customise their site and give it a truly unique feel. You have plenty of options with this theme to truly make it your own. It all amounts to an outstanding theme. This is a slick theme which is clean, professional and modern in equal measure. This is a fantastic theme to use to quickly get your visitors, and potential customers, to the information that matters most. The homepage is divided into sections in which you can clearly highlight what you can offer, your expertise and experience. You can also include striking images and visuals to really get your visitor on board. The best thing is that this is a very clean and intuitive theme which doesn’t overwhelm visitors. It is also extremely flexible and customisable, allowing you to showcase all the important information and details. Visitors can navigate to different sections on the site from the banner at the top of the homepage. Within these sections, you can highlight all your previous work, company information, photo galleries and anything else which demonstrates the core of your company. Next on the list is the beautiful BizWeb theme. 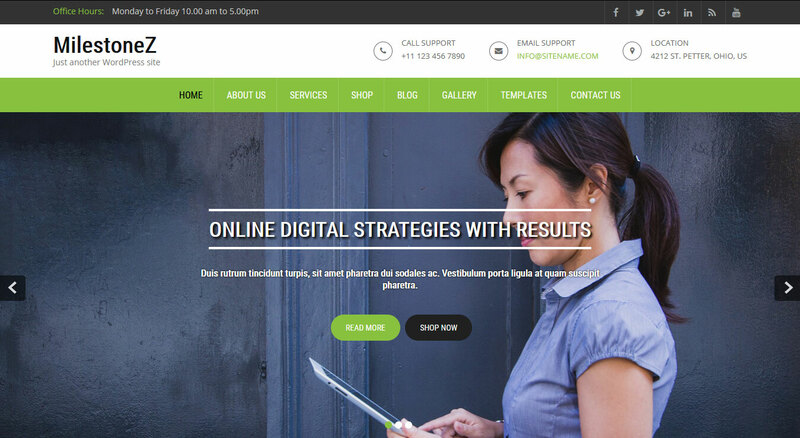 This theme provides an outstanding user experience with a clean, smooth interface. BizWeb puts everything together in a functional and impressive way. The homepage is neat and compact with clear sections which you can use to highlight all your key information and concepts. At the very top of the page, all relevant contact details can be displayed, which includes social media integration. More detailed sections can be accessed by navigating through the options on the banner just below the contact details. This theme allows you to prominently showcase your portfolio, and you can customise exactly how you want to display it. The whole theme has a very light and easy feel allowing you to create a personal, modern and quality website. Pleasant is a theme of the same ilk of the aforementioned one. This is a speedy, modern design which provides visitors with a hassle-free experience. 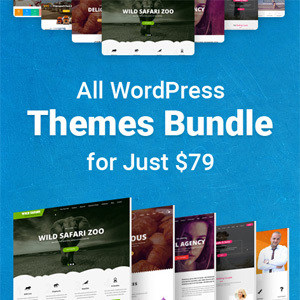 This theme is specifically created to promote your work and business. The whole theme is highly customisable allowing you to tailor it perfectly. The homepage can be used as a screenshot to highlight exactly who you are. You can include considerable information here with different categories and sections to really deliver the message you are trying to give to your visitor. This theme is the complete package and is an excellent choice for communications workers. It is a powerful, modern theme which is user-friendly and clean. It gives an overall impression of quality and professionalism which is exactly the vibe you want to promote to potential clients. There are plenty of modern features to play around with here and you should have no trouble in designing a site which performs solidly and looks pleasing to the eye. The homepage can be used to display all the key information and more detailed sections can easily be accessed from the banner at the top of this page. Blogger & Content Writer located in Denmark. Profession-wise I work as a freelance content writer for several companies and websites. Every company and website I work for I choose myself which I enjoy because I get to choose the markets they allocate in. I like to collect all the knowledge I can from different fields to increase my competences, know-how and professional position. These days I work mostly for the website GPU Games.